The Institut d’études politiques de Paris simply referred to as Sciences Po is a public research and higher education institution in Paris, France, which specializes in social sciences, politics and international affairs. It has the status of grand établissement, which allows its admissions process to be highly selective. Established in 1872 as the École Libre des Sciences Politiques, Sciences Po has traditionally educated France’s political and diplomatic elite, and it is generally considered one of the world’s most reputable and prestigious schools of the social sciences. The main Paris campus is located near the Seine River, between Boulevard Saint Germain and Boulevard Raspail. It is housed primarily in 17th- and 18th-century mansions located on the Left Bank, on and around Rue Saint-Guillaume, Rue des Saints Pères and Rue de l’Université (in the 7th arondissement). Sciences Po covers political science as well as economics, history, sociology, law, finance, business, communication, social and urban policy, management and journalism. Sciences Po is a selective and diverse French university specializing in the humanities and social sciences. It devotes 40% of its budget to research. Sciences Po was established by a group of French intellectuals, politicians and businessmen led by Émile Boutmy, and including Hippolyte Taine, Ernest Renan, Albert Sorel and Paul Leroy Beaulieu. Sciences Po’s educational programs have a strong international dimension, multi-lingual teaching and the comparative and international perspectives of the courses. The seven Sciences Po undergraduate campuses are places of strong international integration. The third year abroad is the culmination of this fundamentally international education. Double degrees at master’s level reflect Sciences Po’s international stature and its status as one of the top world universities. The network of university partners has extended Sciences Po’s presence throughout the world. The Doctoral School, the Office of the Vice-President for Research and the nine research centres give Sciences Po high-level research credibility on an international level. Sciences Po Avenir (career office) works with an extensive network of corporations, international organizations, public administrations and NGOs throughout the world. The graduate programs available at Sciences Po are open to all profiles, whatever their prior education or intellectual journey. This diversity is one of the pivotal points of the school’s educational objectives, together with the diversity of nationalities and social origins represented in the student body. The curricula combine practical, applied content with fundamental theoretical knowledge. Sciences Po’s mission is to educate enlightened participants in modern public or private organizations in the Masters and professional schools. In 2014, the QS World University Rankings ranked Sciences Po the 13th best university in the world in Politics and International Relations and Affairs and 36th in Sociology. It was also ranked 1st French university in both faculty areas and 3rd in History. In 2013, the QS World University Rankings ranked Sciences Po the 16th best university in the world in Politics and International Relations & Affairs and 30th in Sociology. In the Times Higher Education World University Rankings for 2013/2014, Sciences Po ranked 98th in the world for Social Sciences. In the 2013 Times Higher Education Alma Mater Index of Global Executives, a ranking of a university’s number of degrees awarded to chief executives of the world’s biggest companies, Sciences Po is ranked 81st. While all of Sciences Po’s graduate programs are taught in Paris, the school has six additional undergraduate campuses in France. Each of the six campuses has its own distinct cultural identity and academic focus. They are designed to widen the academic concentration of the wider Sciences Po community, and allow students enrolled in the three-year Sciences Po undergraduate program, the collège universitaire, to specialize in a given region. 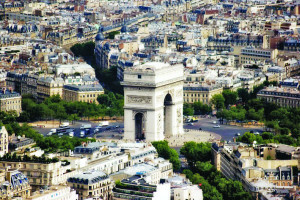 Upon completing their undergraduate studies by spending a year abroad, all students usually move to Paris for their graduate studies (Master). As the satellite campuses are part of Sciences Po Paris, their official designations always include the word “Paris” in order to distinguish them from the so-called “IEP de province”. For instance, Sciences Po Paris’ Dijon campus is officially named Sciences Po Paris in Dijon. Sciences Po offers dual master’s degrees with the London School of Economics, the School of International and Public Affairs at Columbia University, the Hertie School of Governance in Berlin, and the Lee Kuan Yew School of Public Policy at the National University of Singapore. This collaboration has existed since the early 1990s, but was formalized in September 2005 with the official launch of the Global Public Policy Network in Beijing, China. The partnership fosters academic collaboration among students, faculty, and research centers of leading public policy schools in several world capital cities. The network is further intended to facilitate collaboration on public policy research, student and faculty exchanges, and international conferences and fora with policymakers from the USA, Germany, UK, France, Japan, São Paulo and Singapore. This alliance has produced five degree programs with LSE, including masters degrees in International Relations, Negotiation, International Political Economy, Public Affairs, the Practice of International Affairs, and Urban Policy, two degree programs with Columbia, specifically a Master in International Affairs, dual Master of Public Policy and Master of Public Administration with the Hertie School of Governance, and a Master in Public Affairs, and one degree program with LKS, a Master in Public Policy. Sciences Po is accredited to confer PhD degrees in law, economics, history, political science and sociology. The Sciences Po PhD Program counts roughly 600 doctoral candidates, a third of whom hail from abroad. About 40 defend their dissertations each year. The program has a long-standing tradition of multi-disciplinary scholarship. The PhD Program covers 15 fields of study, which follow up on those offered in the Master’s program: Latin America, Sociological Analysis of Change, Asia, Economics of International Relations, United States, Europe, International Finance, Law, Economic Governance, History, Muslim World, Political Thought, Russia/CIS, Political Science of International Relations, Sociology of Action, Political Sociology and Public Policy. In addition to academic training, the PhD Program provides a number of student services, including financial aid for PhD studies as well as for research abroad, support and promotion for publications, and job placement guidance and assistance. Graduates of Sciences Po are usually referred to as Sciences Po. “alumni” is the Sciences Po’s alumni magazine (formerly “Rue Saint Guillaume”). The vast majority of teachers and professors working in Sciences Po are alumni. Some French students further their studies at École nationale d’administration (ENA), which is often viewed as the compulsory educational step before serving in diplomacy.